WHAT SERVICES ARE PROVIDED BY A MEMBERSHIP PRACTICE? 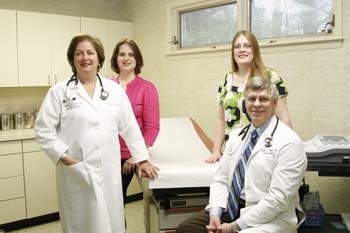 Our physicians at VB Premier Medical provide comprehensive primary care internal medicine, which includes complete annual physicals and health evaluations, routine and emergency office visits, house calls, visits to nursing homes and assisted living facilities, specialist referrals, home health and/or hospice care coordination, in-office EKG’s, flu vaccinations, and blood drawing. The doctors are easily available for phone calls in order to handle problems that don’t always require an office visit. Your doctor will coordinate your over-all medical care and preventive health maintenance efforts. The membership fee will cover a complete annual physical exam and wellness evaluation, dietary and exercise recommendations, screening audiometry (hearing tests), case management for elderly or disabled patients when necessary, 24/7 access to your physician(s) for urgent problems, unlimited phone calls and office visits as needed. You will never be billed for copays or additional office fees for services provided by your doctor. DOES THIS MEMBERSHIP REPLACE THE NEED FOR HEALTH INSURANCE? No--you will still need health insurance to cover out-of-office tests, visits to specialists when necessary, and hospital care. The staff will handle all the necessary paperwork for lab testing done in the office and make the arrangements for all out-of-office testing. WHAT IF I NEED TO GO TO THE ER OR BE HOSPITALIZED? Drs. Parks, Cajulis and Warth will personally manage emergency room and in-hospital care at Sentara Virginia Beach General Hospital should it become necessary. At any other hospital, your doctor would certainly be involved in expediting care by communicating important medical information directly to the attending physician. WHAT HAPPENS AT NIGHT OR ON WEEKENDS? You will have your physician's personal cell phone and pager numbers, so you will always be able to reach the doctor easily after hours if problems or questions arise. On the unusual occasion when your personal doctor is out of town, you can be assured that the covering physician, which will always be one of our own doctors (Dr. Parks, Dr. Cajulis or Dr. Warth), will be completely accessible as well. WHAT IF I HAVE A PROBLEM WHEN I'M OUT OF TOWN? You will be able to reach your doctor directly by phone for advice at any time; and s/he will be available to communicate directly with other physicians about your medical background to expedite your care long distance. Your VB Premier Medical office records will be made available promptly to other physicians involved in your care wherever you are. WHAT IS THE OFFICE SCHEDULE? The schedule at VB Premier Medical is structured so that your visits will almost never be rushed. We schedule at least 30-60 minutes for each routine visit and always try to make sure we have time available for urgent visits each day as well. We schedule an hour and a half for each annual complete physical exam so we are sure to have enough time to discuss problems in depth and to be able to cover preventive care adequately, which is an important part of what we do. Routine appointments and physicals should be scheduled in advance, but urgent problems can be taken care of on the same day or next day depending on the situation. Canceling or rescheduling is not a problem. We try to make our schedule work around your needs, not ours. We do not insist on an office visit when it's not really necessary. We always try to answer every phone call and take care of every prescription refill before the end of the workday. We make every effort not to disrupt the schedule, however there are emergencies that occur occasionally, which require that we leave the office to go to the hospital. The vast majority of the time if you have an appointment scheduled for a certain time, you will usually be seen within 15 minutes of that time. Please call our office for current information regarding our fees. Pricing is variable and is adjusted according to the cost of living every year. We feel our fees are very reasonable and often very conservative considering the amount of service provided. Automatic monthly withdrawals can be set up with your bank checking account, which is the preferred method of payment for our practice. Unfortunately, we cannot accept automatic monthly credit card withdrawals. After joining, you are under no obligation to remain in the practice. You may cancel at any time for any reason, and any money paid in advance will be refunded on a prorated basis. From "Overview of VB Premier Medical" to "HomePage"